The new addition to the Touch of Class thrift shop. 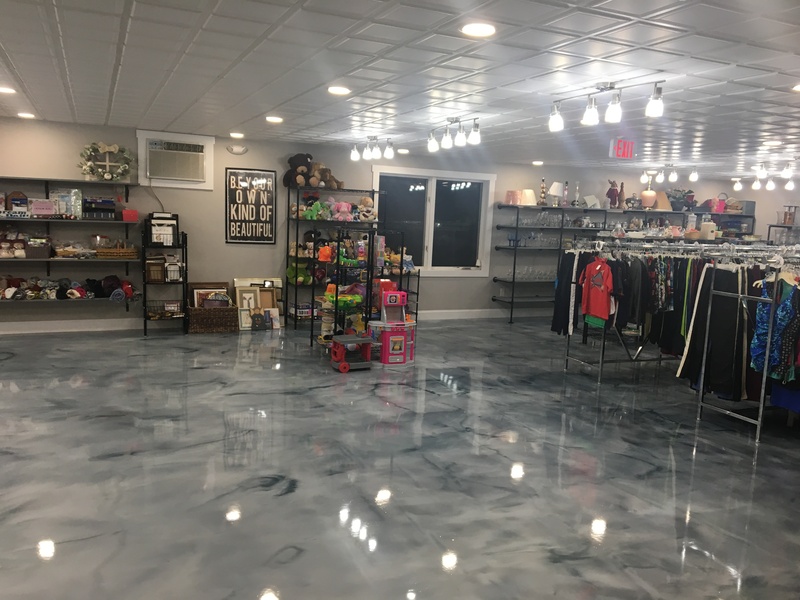 FARMINGTON - Work First Inc. announces the opening of the 1,500-foot new addition to the Touch of Class Thrift Shop on Route 2&4 in Farmington today. Work First Inc. is a private nonprofit organization that offers services to individuals with intellectual disabilities. Work and community volunteering are a primary focus of the services offered at Work First. The three Thrift Shops help in offering paid employment for some of these individuals. The addition will be used to display and sell more of the beautiful donations that the local citizens share with the Touch of Class. The goal is to sort the donated items and get them out on the racks much quicker with this additional space. Horne Construction, Hammond Lumber, Handyman Plus heating and Lake Electrical were the local contractors that have been responsible for the progress and build of this new space. The Touch of Class operates to offer employment to Individuals with Intellectual Disabilities and to use the recycle re-use model of offering the local public high quality clothing at a very reasonable price. Thrift shops are now very trendy because of the cost savings, environmental impact and the unique finds. Touch of Class is always looking for high quality donations for their 3 shops. Only clothing and very small household items are needed. Come visit the shop on Route 2&4 and experience the new boutique style space with additional product on display and for sale. I LOVE Touch of Class stores! It is where I buy 90% of my clothes! The stores are always clean, the clothes are clean, and the staff are great! I always tell people to go there and check them out! Can't wait to see the new addition! Congratulations! !